Every time a theater announces a production of Eugene O’Neill’s posthumous masterpiece, I cringe. It’s a long, long day’s journey into and through the night. Three hours of Sturm und Drang, a trip through the hell of dysfunctional family life highlighted by drug abuse, drunkenness, inescapable disaster and the madness that accompanies great anger: anger at one’s self; anger at others; anger at loved ones and strangers and co-workers and prostitutes. I dread the event. 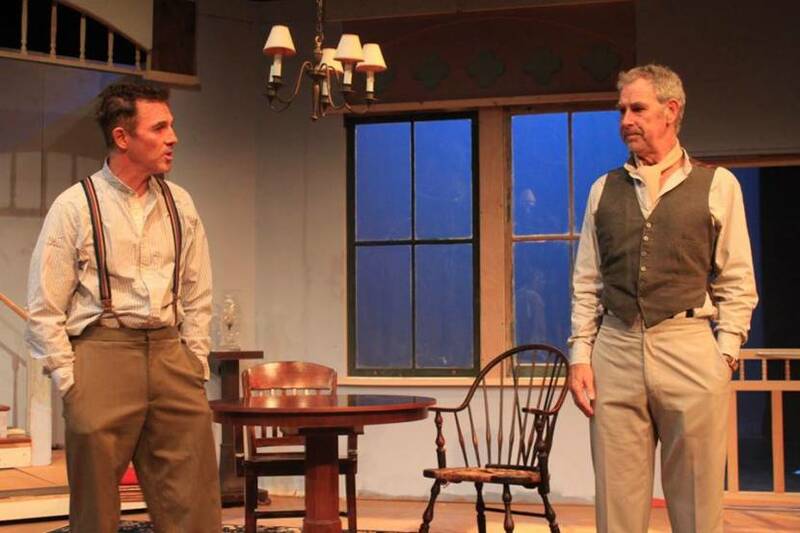 At Oldcastle Theatre in Bennington, Vermont, a production of this play invigorated me, excited me and thrilled me—and I’ve been seeing it since its first production in New York when I was not quite a teenager. I must confess that I am attracted by the dark side of things, and this play provides a lot of darkness. When performed by a talented group of actors who can handle the dark with interior light of their own, illuminating the characters and achieving a naturalness in spite of the nearly impossible humanity they portray, the three hours fly by like a walk on a steep hillside with a wind at your back. In Eric Peterson’s production, that is exactly what happens. A quick bravo to Christine Decker, Nigel Gore, Martin Jason Asprey, Brendan McGrady and Piper Goodeve for bringing to vibrant, focused and moving light the Tyrone clan and maidservant, for showing us the O’Neill family as Eugene (called Edmund in this play) wanted the world to see them, but only after his own death. He would brook no criticism of the way things were. Decker plays Mary Tyrone (actually Mary Ellen O’Neill), whose lengthy addiction to morphine has been a curse on the family for years, ever since the birth of her third son, Edmund, following the childhood death of her second child, Eugene. Decker is among the most versatile actresses to appear in this blessed region and her performance as Mary is magnetic. When she is onstage, it is she you watch, she you listen to and adore even when Mary is at her most enigmatic and confused. Decker is so utterly believable that you feel her love when she speaks of love or shows her adoration for her youngest child, or her hostile husband, or her only friend, the Irish maid Cathleen. You feel the heat of her hatred for her life as it is being lived, as it has been lived, as it is a betrayal of her youthful, soulful dreams. Decker puts everything out in front of her character, and even her emotional shifts and sways are so revealingly right you want to hold her in place and return her gifts of love to her before she forgets them entirely. This is a lyrical best performance and one deserving a lot more exposure than it will receive in the brief run of this play in Bennington. Brendan McGrady as her baby boy, living with illness and self-abuse, is forceful and charming at the same time. Playing the young Eugene O’Neill, his Edmund is never a shadow of the author, but rather a fleshy, vibrant, living tribute to its origin. His pain is felt by the audience. His anger is swift and fails instantly. His relationship with each of his relatives is tense and torrid and tempered by his need for their support. McGrady is excellent in the role, attracting our support ,as well. 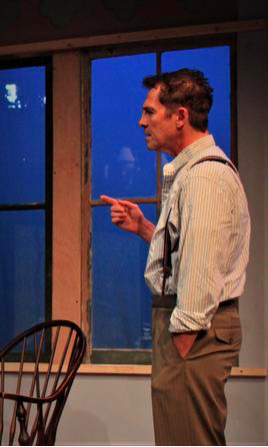 James Tyrone, husband and father and employer, ruling the roost in his New London, Connecticut, cottage, is played by Nigel Gore, whose American English is superb and theatrical and overwhelmingly honest and real. James has a temper and it flairs easily and, when he pulls back from it to be the opposite side of his personal coin, his natural flair for shameless charm is exposed with just the right tone of phoniness to seem almost real and true. This role is a tricky one. I have seen it played with certain sham and I have seen it played with unnatural uneasiness. Gore manages to make it seem just about natural and honest, which is a miracle of acting. James Tyrone is an actor, one renowned for a single role (the Count of Monte Cristo in O’Neill’s world), one he has played in New York and on tour for 30 years; he never plays the style of such a role in his real life, though there are some traits of his character that reflect that devotion to a single part being played. In Tyrone’s case, offstage, his role is benign husband and tolerant father. In those moments when that acting decision needs to be clear, Gore gives everything to that sense of personal devotion. When he can, he slips into reality and we see exactly who Tyrone is rather than who he wants people to see. Acting the various levels or Tyrone’s personal reality, we experience the tragedy of O’Neill’s family life and the birth of the darkness that pervades his plays. Gore is, to put it succinctly, brilliant in his portrayal of James Tyrone. 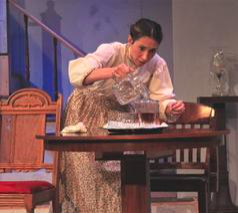 Piper Goodeve plays Catherine, a shrewd, likeable immigrant, one of the two servants in the cottage. She becomes the confidante for Mary, a woman who can share both family secrets and a bit of booze with alacrity. Goodeve is delightful in the role. She shares a natural grace with her mistress and with the younger son, as well. She admires the father though she fears him somewhat. Goodeve is a natural comedienne; her timing is delightful as she shares a few drinks with Mary and later transports one—or maybe only part of one—to Bridget in the kitchen. Her reactions are physical and verbal, and they are delicious in the extreme. I saw Goodeve play this same role a year ago at the Weston Playhouse. The comic character she played there so very well has been transformed here under Peterson’s direction into a more sympathetic person whose natural sense of humor helps to lighten some of the darkest moments in the play. I like both of her interpretations. She is a very talented person who, I’m certain, could find a third Cathleen in some other production down the line. However, I hope she has broader opportunities in her future. Perhaps the most difficult role in this play is Jamie, James Tyrone Jr., firstborn son and natural inheritor of his father’s mantle. This is a man who, at age 7, brought about the death of his baby brother, Eugene. This is a man whose hatred of his father and resentment of his youngest sibling, Edmund, forces him to fake his emotions, then find them to be real, then deny them, then excite them into uneasy reality. This is a man whose easy fall into drunkenness and debauchery has become a lifestyle choice. This is the hardest character in the play. Eugene O’Neill wrote about his elder brother in other works. It is almost as though his own personal journey to find and understand his own brother may have brought this play into being. He is played in Bennington by Martin Jason Asprey in a finely realized portrait of a living, breathing denizen of the depths. As the play covers a single day in the lives of this family, so it provides the actor opportunities to display all of the widely varied traits of this man. He tells his younger brother at one point, “You can’t keep thinking it’s a home,” and he means every bit of it. 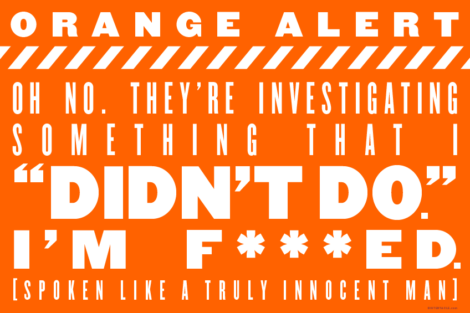 For him, there is no home, for he understands his personal crimes and their effects. He understands that his mother’s horrible existence is very much the result of his childhood murder. He realizes how his lack of ability has destroyed his father’s view of the future, of his own personal legacy. He sees very clearly how his treatment of Edmund has brought the younger son to near self-destruction. We hear and see all of this in the quixotic, changeable work of Asprey’s well-defined performance. If O’Neill’s play ultimately focuses on Mary Tyrone, it is a long journey through the agony of Jamie to get there. Asprey does his finest work in this role. I say without hesitation that his James Jr. is a defining stage experience for this actor. Peterson’s sensitive direction is a great help in creating all of these roles with this superb cast. 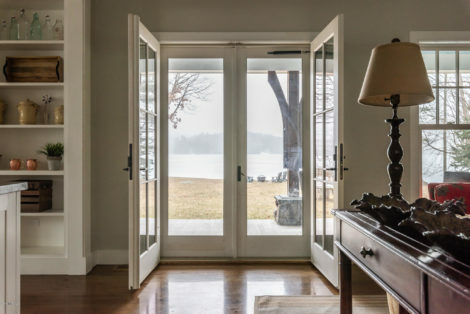 The amazing variety of moods, emotions and mental states play out sensitively against the simple and beautiful, though not luxurious, set designed by Richard Howe. Ursula McCarty’s costumes are perfectly 1912 and Cory Wheat’s sound design provides the proper atmosphere for the play. David V. Groupé’s lighting is a psychological triumph, helping the emotional shifts of the play. Don’t be me! 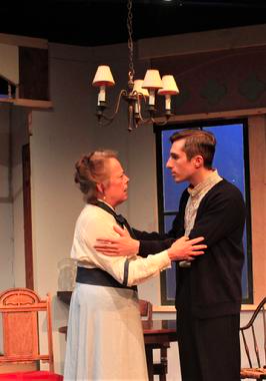 Don’t dread “Long Day’s Journey Into Night.” Attend this show. Have a glass of wine at intermission — you may need it. 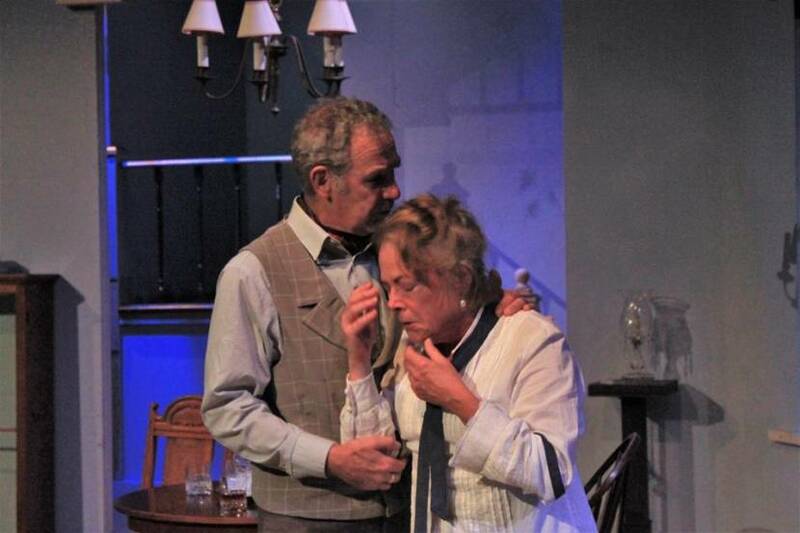 Long Day’s Journey Into Night plays at the Oldcastle Theatre, 331 Main St., Bennington, Vermont, through Sunday, Oct. 14. For information and tickets, see the Berkshire Edge calendar, go online to www.oldcastletheatre.org or call the box office at (802) 447-0564.